In a galaxy filled with scoundrels and miscreants, everyone seeks treasure and riches! 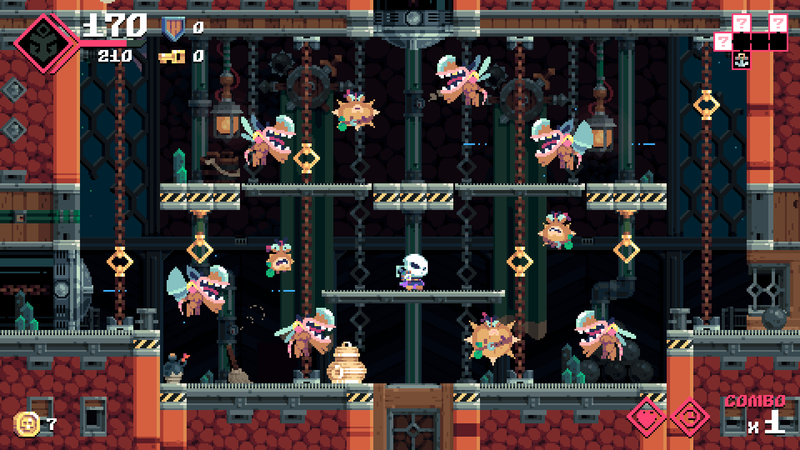 But when a malevolent treasure hunter hatches a sinister plan to unleash an ancient evil threatening the cosmos itself, Flinthook, the galaxy's smallest but toughest pirate zips into action! Be ready to jump, zip and blast around the meanest fleets the galaxy has to offer! 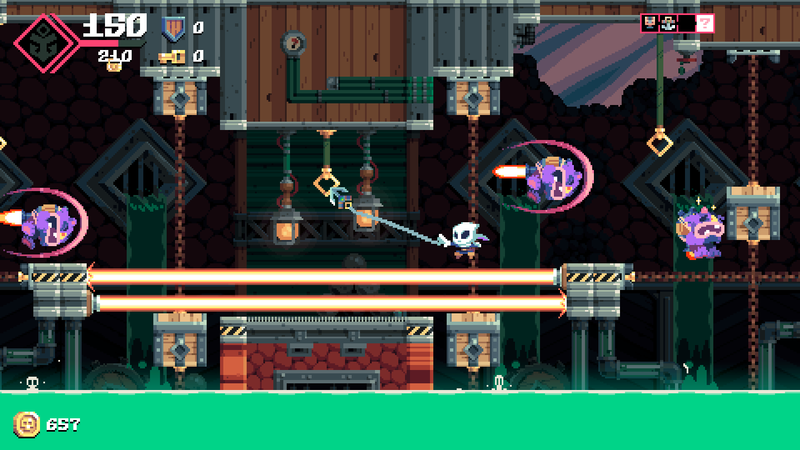 Whether using time-slowing powers or his trusty blasma pistol, Flinthook is ready to take on all pirates, steal treasure and save the galaxy itself! Shoot in 360’ through your Blasma Pistol! 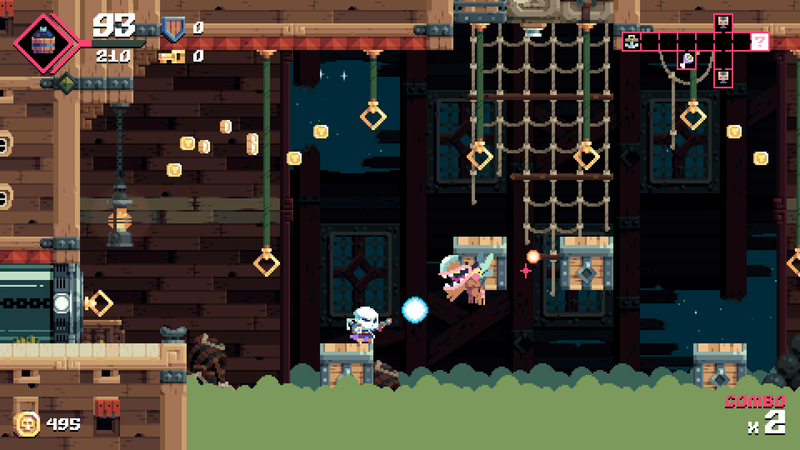 Take down all sorts of enemies with fresh hot bullets! Look really cool with slow-motion powers! Slow down time to adjust your aim or pull off a tight stunt - do it often, it recharges real quickly and it makes you at least 200% cooler. 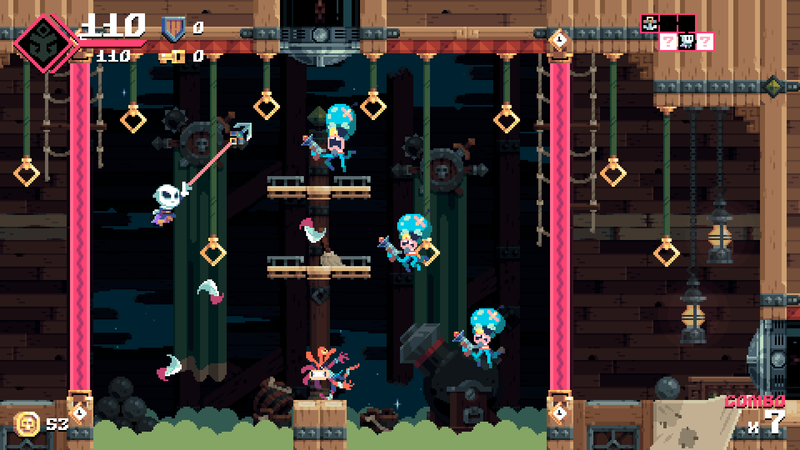 Hunt down the pirate lords of the Cluster Clan! 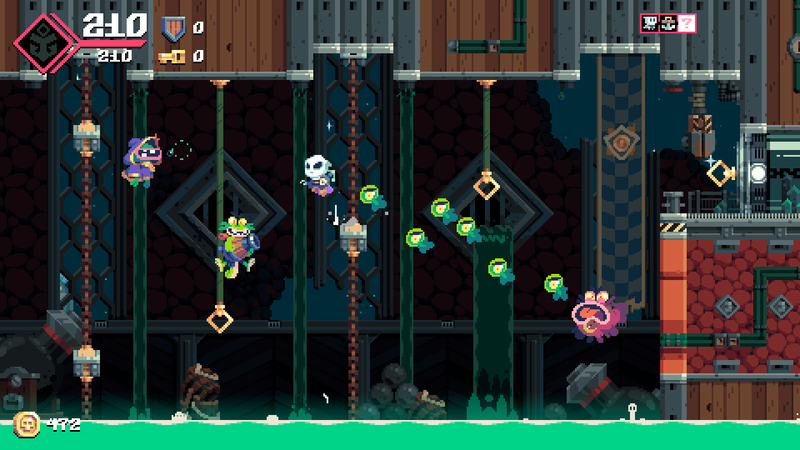 Feed your compass creature to pinpoint the bosses’ location, then take them down and bring your bounty home. 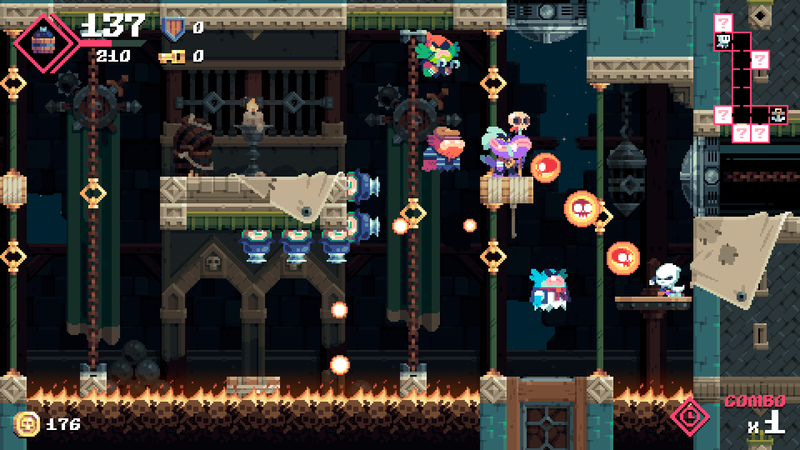 Your rivals are no space chumps, make sure you’re ready for the challenge! 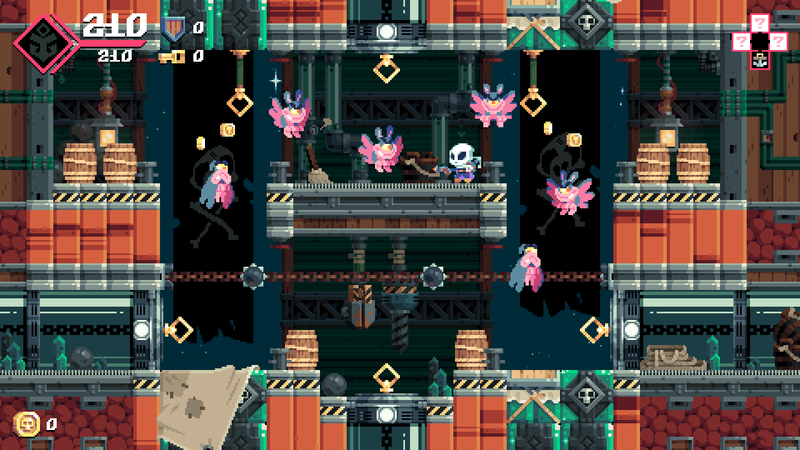 "Famitsu Gold 2017" Flinthook on PS4 was awarded the Famitsu Gold prize in April 2017. 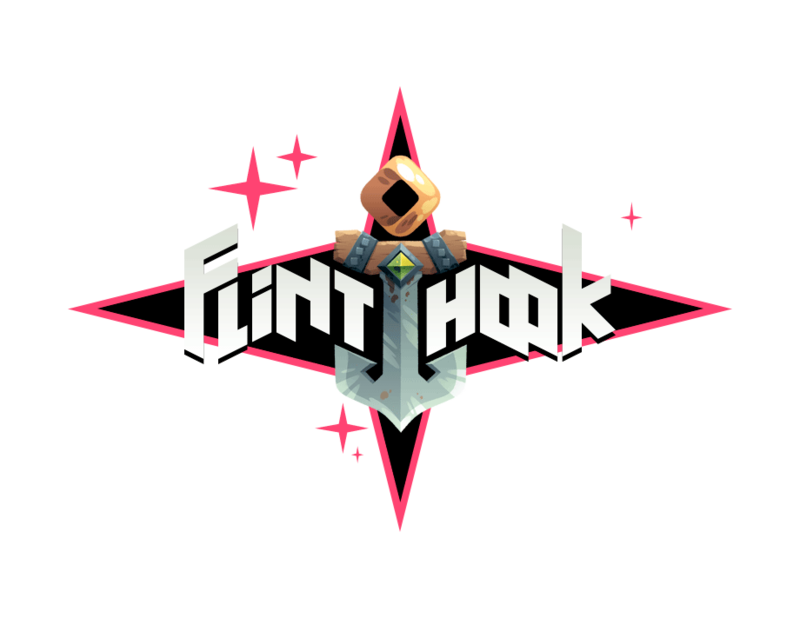 "Annual Game Music Awards 2017: Best Score - Chiptune/Retro Runner-Up" Flinthook was the runner-up for Best Score in the Chiptune/Retro category for the Annual Game Music Awards 2017 by Video Game Music Online. 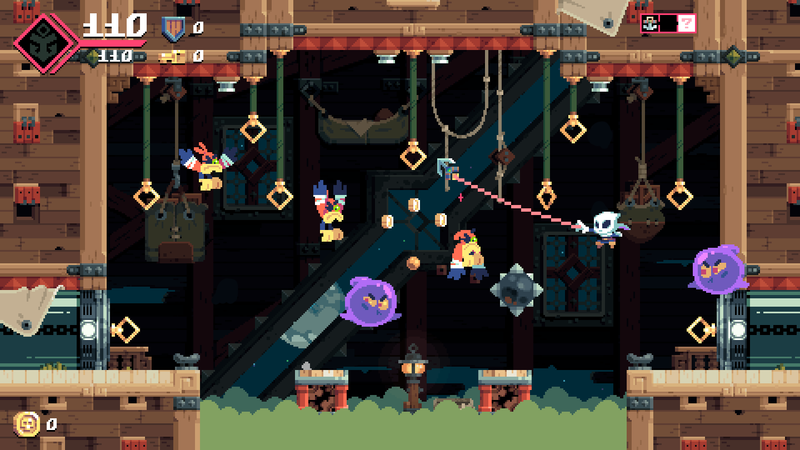 "2018 Honoree Webby Award for Best Music and Sound Design in Games" Flinthook won an Honoree award for Best Music and Sound Design in Games from The Webby Awards 2018. 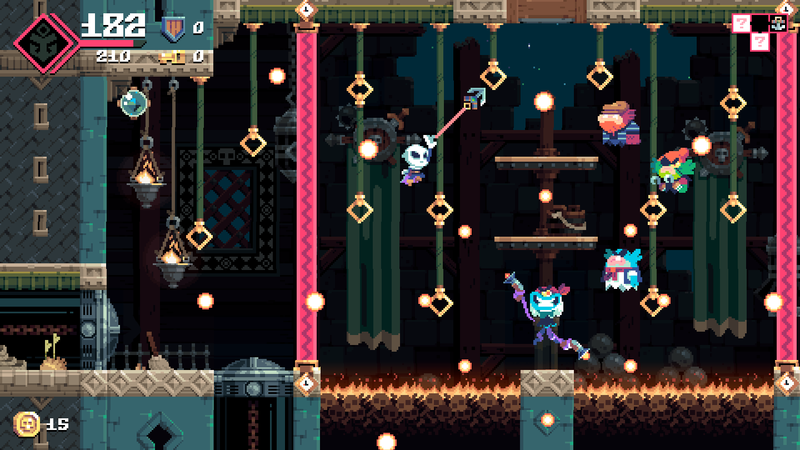 "Space ghost pirates grappling to glory "
"A space pirate roguelike with one of the most satisfying movement mechanics ever"
"Flinthook, a beautiful and fast-paced action game (...) was my favorite game at PAX East last week." 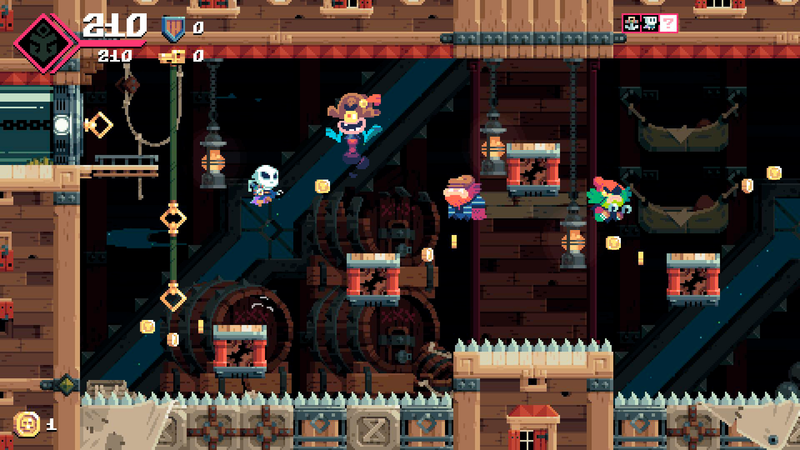 "First gameplay from Flinthook, a grappling hook rogue-lite from Tribute Games." Graphics, sounds, backgrounds for streamers. tributegames.com. Tribute Games hereby grants permission for the use of in-game audio & video for “Let’s Play”, “Preview”, “Review” and/or “Commentary”-style videos across the web (YouTube, DailyMotion etc. ), including ad-supported channels/videos. The creator of the video may use in-game audio & video for as many videos as desired. Please include a link to www.tributegames.com OR any online store or official website selling the title involved. 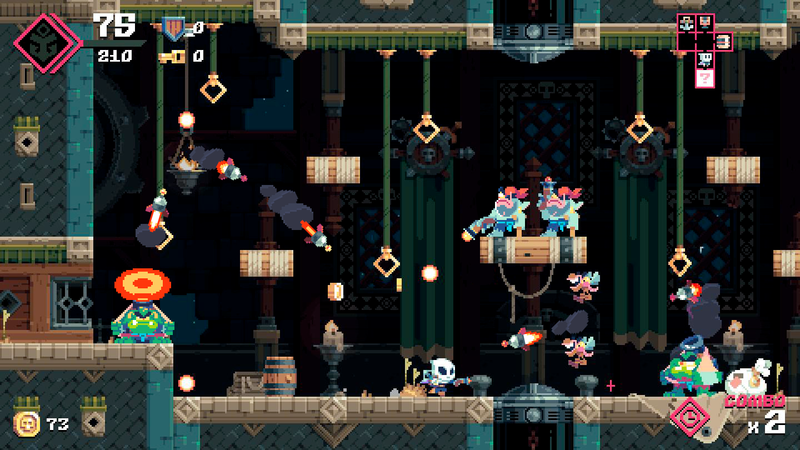 Specific permission is required for any soundtrack use outside of captured gameplay. If you have any questions, please email press@tributegames.com. Please let us know on Twitter when your video(s) gets published, so we get a chance to share it with our followers! bit.ly. 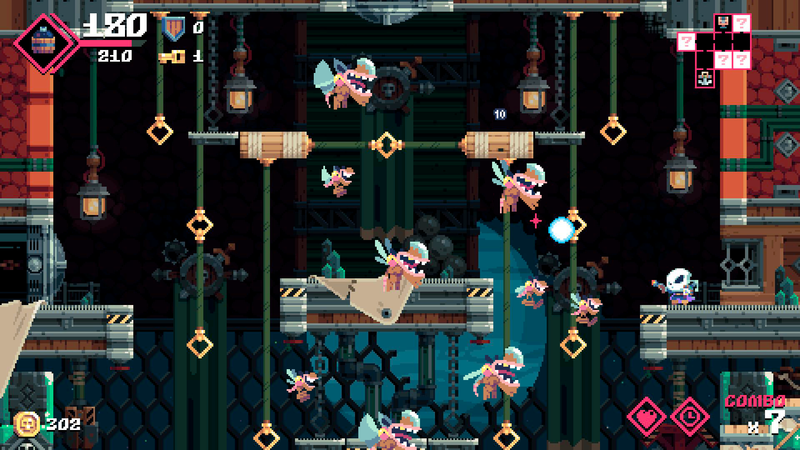 We're an independent game studio located in Montréal making entertaining games with a focus on pixel art and classic game design (sometimes with a modern twist). We are tremendously passionate about our work and our inspirations are mostly games from the 8-bit and 16-bit era. Why? Because these are the games we love and still play today. More information on Tribute Games Inc., our logo & relevant media are available here.